The Word Cup of Poker has come to an end, after a long weekend of some great match-ups between the best each qualifying country had to offer. 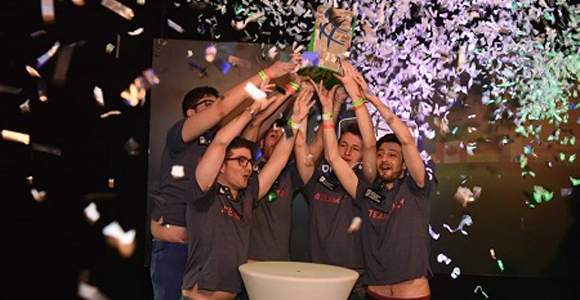 This year, for the first time since it began, Team Italy has taken the trophy. Their team: Mustapha Kanit, Rocco Palumbo, Dario Sammartino, Andrea Dato, and Giuliano Bendinelli, proved to be amazing players. After knocking out Team USA in the semi-finals, Team Italy would now face Team Russia; Vladimir Troyanovskiy, Vitaly Lunkin, Anatoly Filatov, Alex Bilokur, and Ivan Soshnikov. They were chip leaders, with 404,900 against Team Russia’s 148,100. Team Italy managed to win all three heads-up matches, which is what led them to their ultimate victory. Hopefully next year we can see the same level, not only with Team Italy, but the other countries as well. I was disappointed that Team UK got knocked out so early, but they just were not up to standards. For the gritty details of what went on during the Poker World Cup, check out PokerNews.com.